Hey SCII fans and friends. 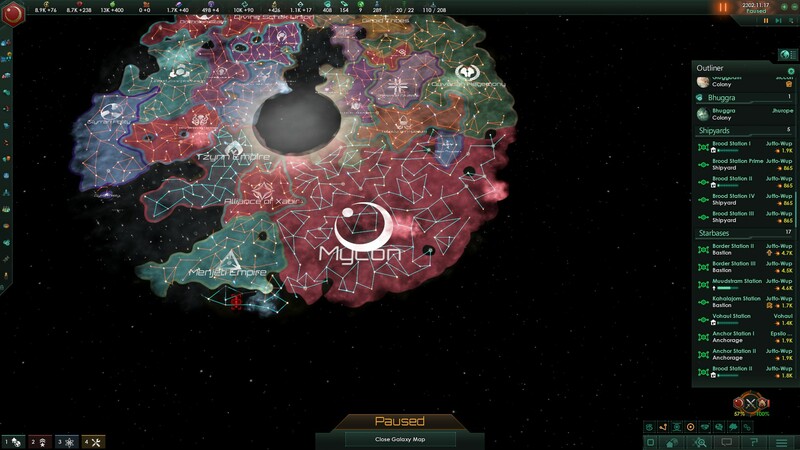 I am considering posting a text lets play of my absurd roleplay as the Mycon in a game called Stellaris. If any of you would be interested in such a post, please verbalize your assent if not, don't verbalize your dissent. I await your response SCII fanbase. Feel free, you're always welcome transforming the Non to Void, and spreading Juffo-Wup at the same time. Why not? Go for it. I have no objections. 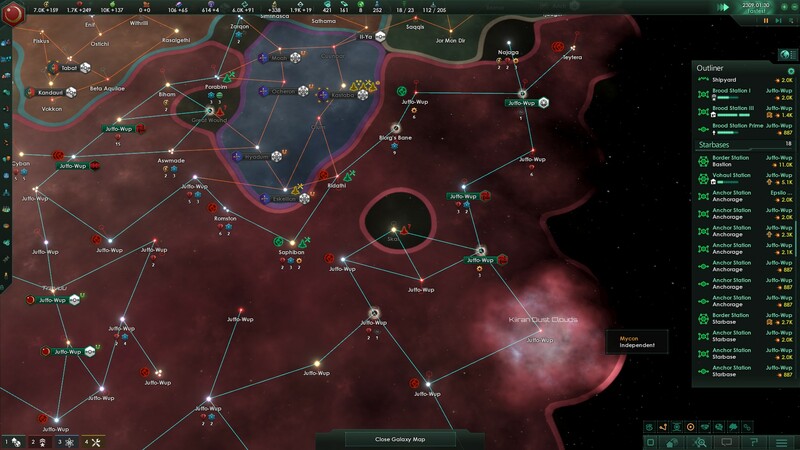 Can't guarantee whether I'd like it or not, but I like Star Control and I think Stellaris is a great game so it's a good premise. 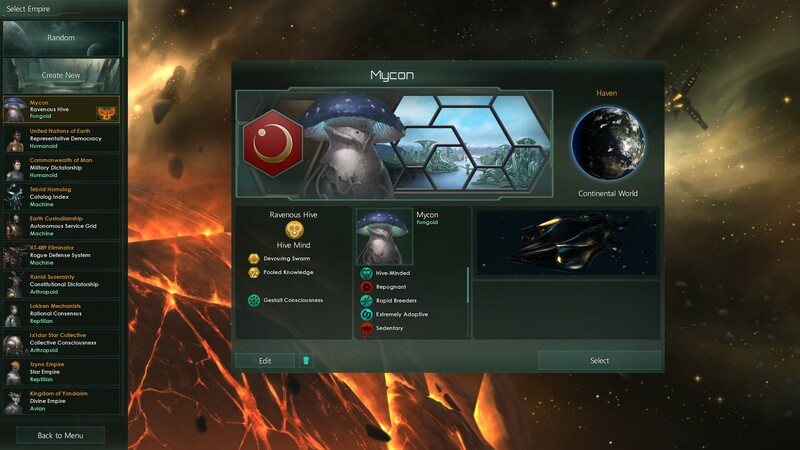 This is the Mycon race I will be using. 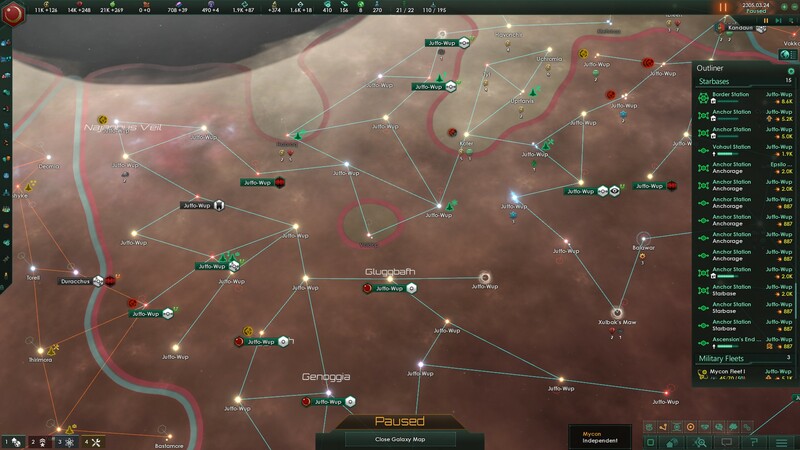 many of the things I couldn't quite get perfect, like world class, but I figured these are the worlds they prefer for teraforming, so, close enough. 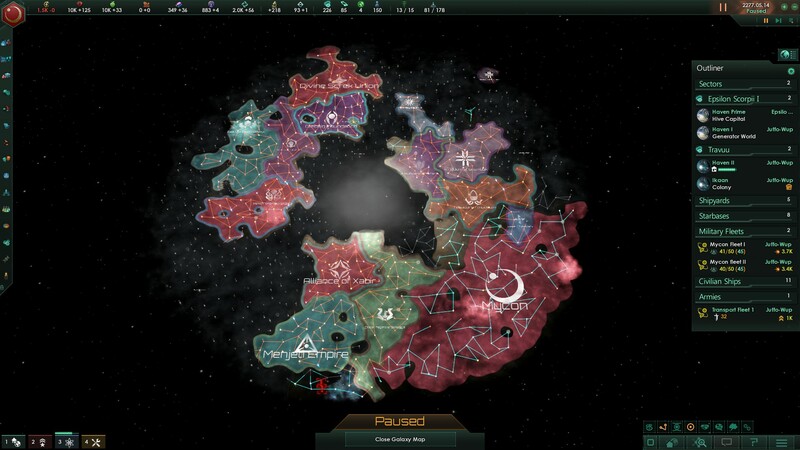 Is Stellaris somewhat similar to Master of Orion? Must be annoying if messages pop up asking for attention, and it's in the star system Juffo-Wup. Good luck voiding the Non! to learn the weakness that will allow you to Void the Non. 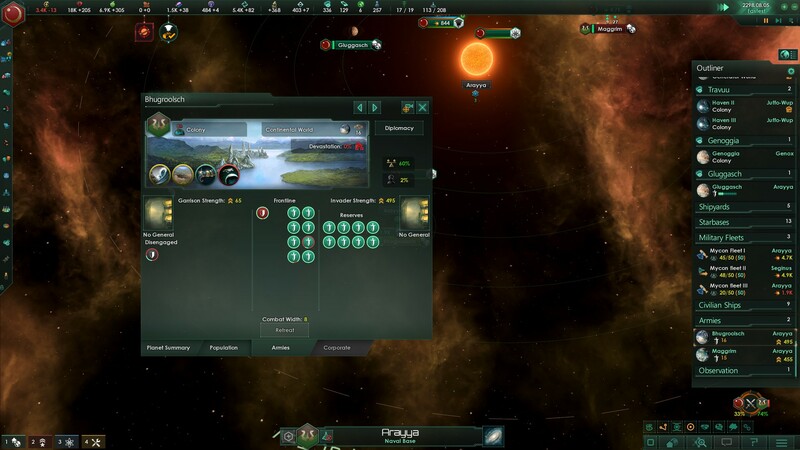 Stellaris is in the same genre as Master of Orion, but it has some really cool mechanics (events, war declaration, ethics, policies and edicts...) that really make this game seem (to me) like a breath of fresh air compared to Civ and MoO. 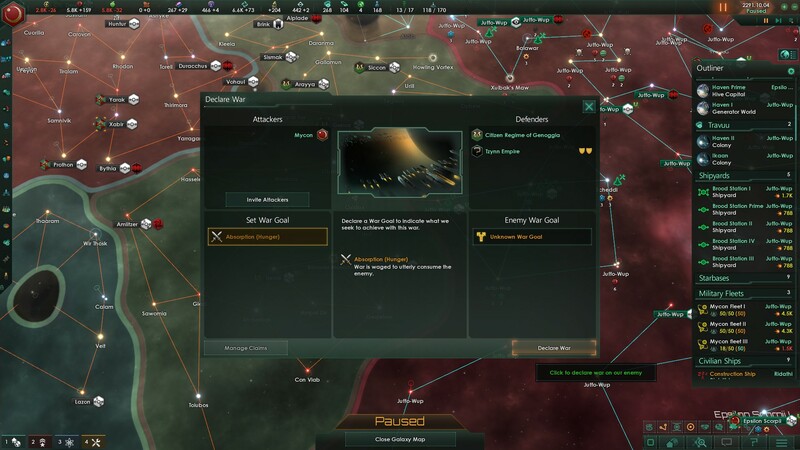 For example, when you declare war, you must issue demands to the enemy empire that it will have to comply with if you win (from annexing some of its systems or even the entire empire to setting up a new regime more in line with your own policies, to just "humiliating" the enemy). 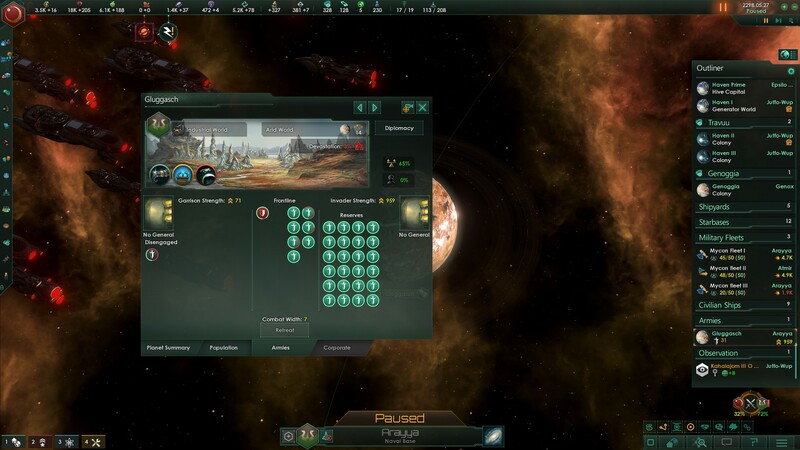 The empires' rulers are not immortal like in Civ or MoO (unless you have a Gestalt Consciousness), but instead one ruler succeeds another. The succession may be hereditary (if you have Imperial authority), or the successor may be named through oligarchic or democratic elections. 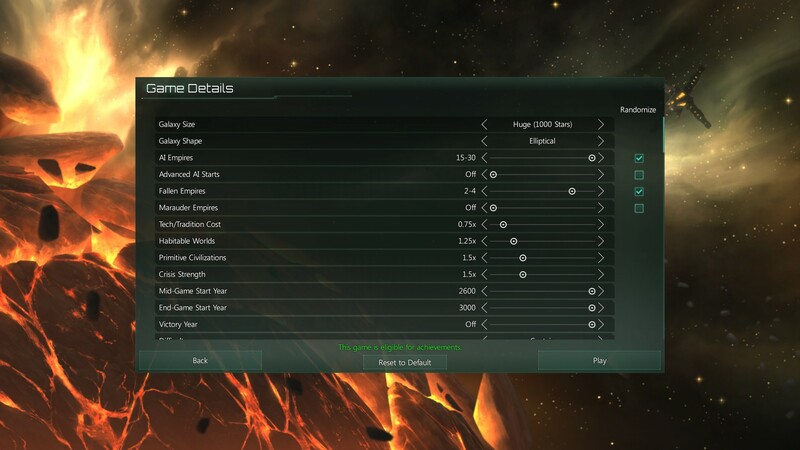 Be warned, though, that Stellaris is not turn-based, but real-time with adjustable speed. This isn't much of a problem in single-player mode, but multiplayer must be a pain. 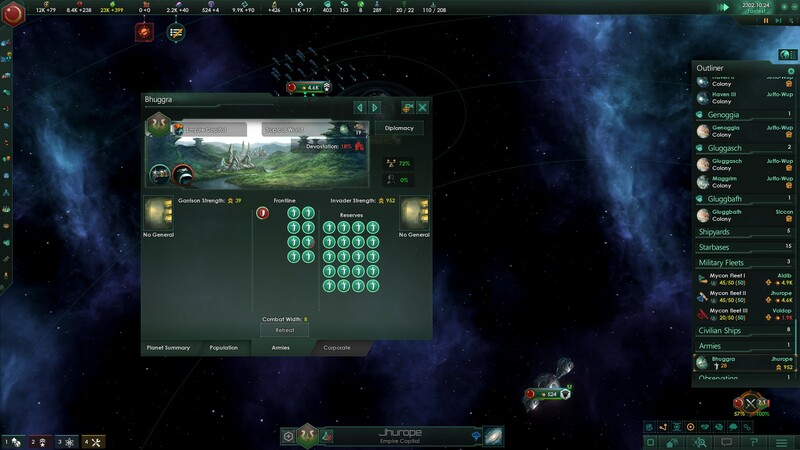 There are other games by Paradox that have mechanics similar to Stellaris, such as Crusader Kings and Europa Universalis. I enjoyed Microsoft's Age of Empires 2 back then, so I can handle real-time (although I usually set the speed to rather slow to be able to micromanage....). 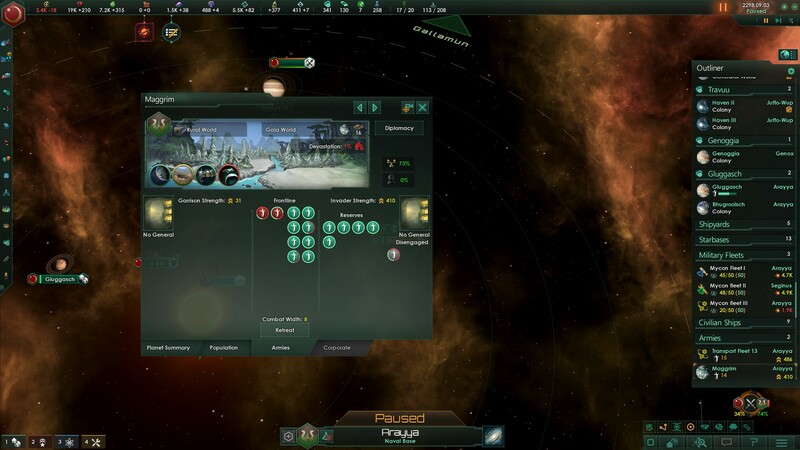 The game can be paused at any time, and you can still give orders when the game is paused, so micromanagement shouldn't be an issue. That's right my friends. Juffo-Wup grows tired of waiting and finally declares war! 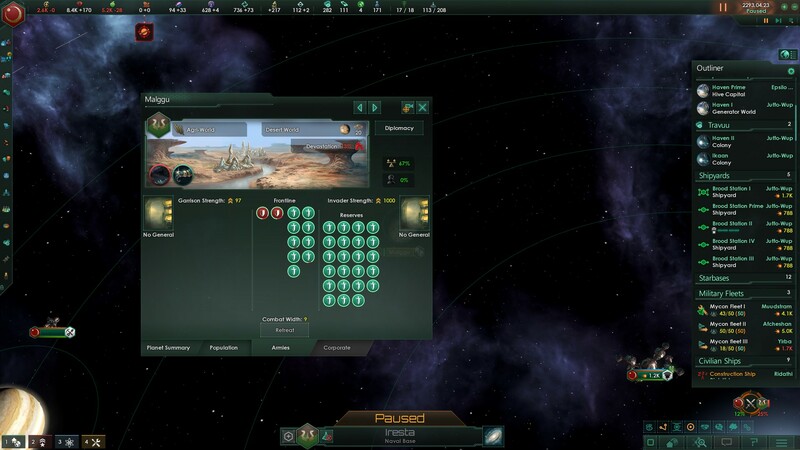 Their fleet power is pathetic compared to mine. 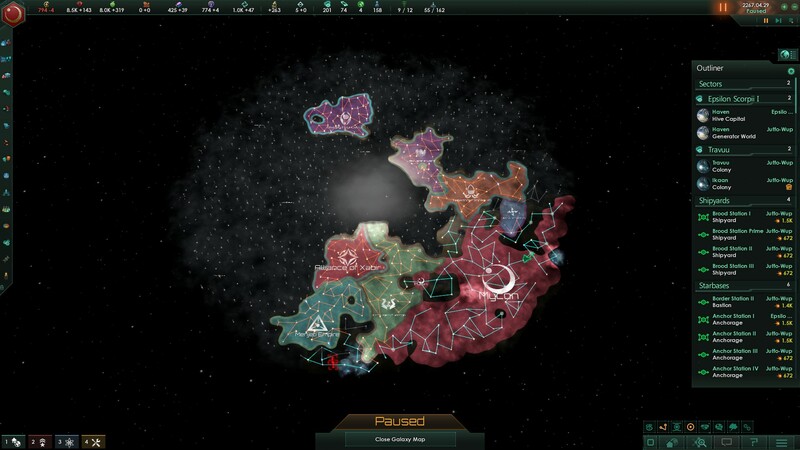 Now, they may have a defensive pact with someone else, but, I already checked it out and there's no way they could even get their fleets over to help the hapless Citizen Regime of Genoggia. 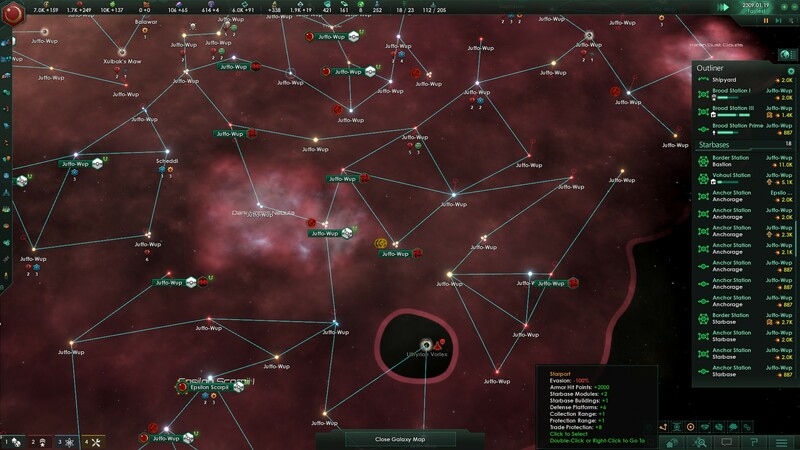 *sudden realization of how many wormholes I control* I will be right back after these station upgrades! What do you think? Let me know how you think I'm doing so far as this is my first time doing one of these! 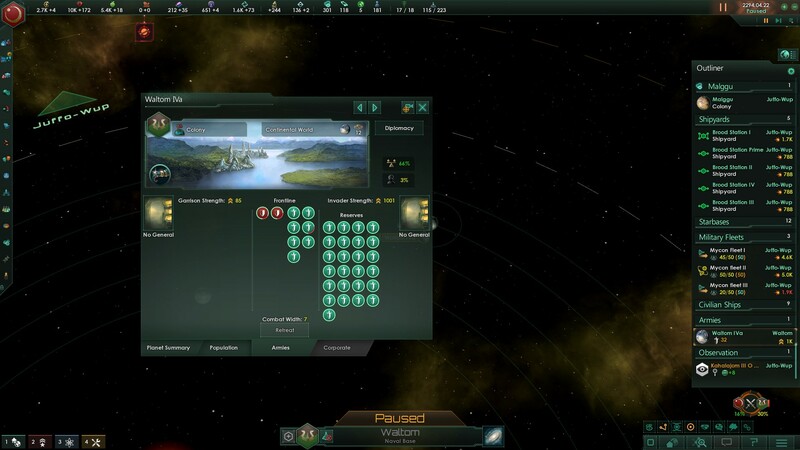 Now I'm trying to imagine translating that into the diplomacy-speak the AI could understand from Spaceward Ho!